Hello dears! Hope you are all enjoying your weekend. My throat is a little sore and my nose is starting to misbehave so it's not such a fun day for me. On the plus side it's sunny (after a rainy day yesterday) and the snow leftovers are melting! 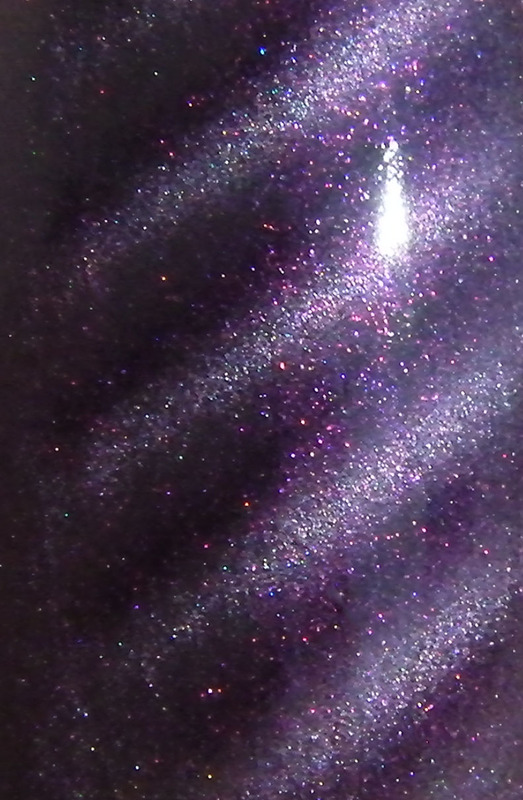 I want to show you one of the China Glaze Magnetix in detail today, but I'll keep it pretty short. I have another post coming with a comparison between the China Glaze and the Flormar magnetics. Hopefully I'll have time to write it and get it up by the end of today. Drawn To You is the light purple polish from the Magnetix collection (you can see skittles of the ones I have in this post). It's the only one I wore so far as a full mani. I chose this because unexpectedly it was my favorite when I first swatched them. I was expecting for the blue-charcoal one to be my favorite but instead it was this. I used the diagonal lines magnet as you can see. The first photo is in my light box and the next ones are in the sun. Although the color varies a lot in these pictures I have to say they are all somewhat accurate. This polish looks different depending on the light. What made me love this a lot was the tiny pink-ish shimmer it has. This can be visible in the sun or in bright light. I've tried to capture it in the next photo. You are welcome to click it and make it bigger! I also like this a lot because the contrast between the lines is very evident and gives a nice effect to the nails when you look at them from a distance. 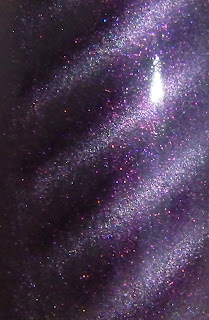 Being a magnetic the polish is very pigmented and pretty thick but easy to apply. I'm pretty sure I've used 2 coats for this mani, just because I'm not able to apply the first coat nicely. It dries fast and to a shine. I still added top coat to give it a glass-like finish. I think the pink shimmer is pretty evident in this macro shot. As stated previously, my only complain with these is the flat magnet, which makes it impossible for me to get the design to show up on the sides of my fingers. I tried moving the magnet around but besides bumping the polish on the magnet occasionally, that didn't work because the polish dries too fast. I will show you the curved Flormar magnet in my next post. Stay tuned! This is really pretty!! Hope you feel better soon.